Well....I use Aa-chan's idea with colour stripes as a background. I wanted to create a winter wallpaper. The txt is kinda blurred , i put some effect and so it looks so weird. 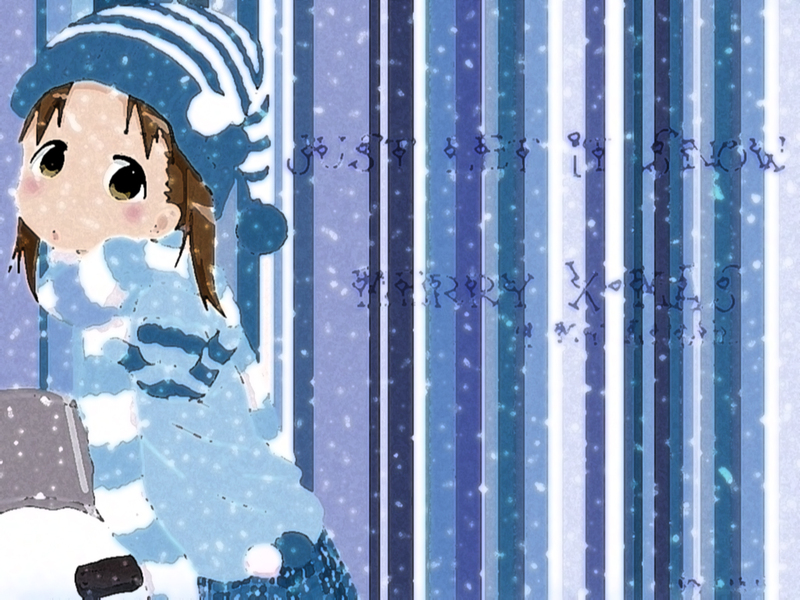 I cut the girl , make the stripes colour them , put the snow <3 put the txt and then i made one layer from all of this parts and i put many many effects.I want this one too look like it's...painted ?Yes smthin like this. It's really a very beautiful winter wallie :) especially the colors they look so cool! and the scan is really great and it suits so perfectly with the background! you did a good job so keep it up! I like the stripes but I think the character and text got a little too filtered out...maybe make a crisper version? Haha cute...another filtered wall from you. This one really reminds me one of Aa-chan's wall.